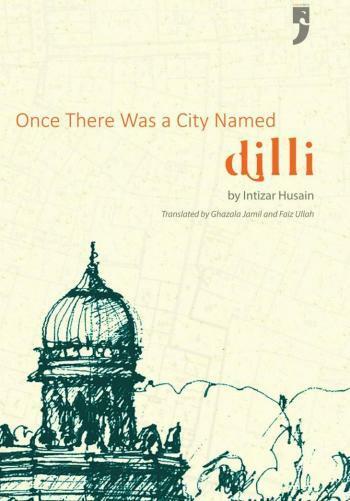 The following is an excerpt from the book Once There Was a City Named Dilli, written by Intizar Husain and originally published in Urdu as Dilli Tha Jiska Naam. 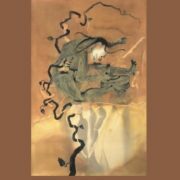 The extract is from its English translation, by Ghazala Jamil and Faiz Ullah, published in 2017 by Yoda Press. A Hindi translation of the book, translated by Shubhum Mishra, is also available. …It looks like everyone is wearing the same angrakha. Yes, there is some difference in whether the bells are tied on the left or on the right. If the bell is on the left-hand side then one can assume the wearer is Muslim, and Hindu if they are tied on the other side. But that’s the only difference in how Muslims and Hindus appear here. Everything else—their demeanour, language, fashion—is the same. To speak the truth, Dilli’s Hindu is no longer the Hindu of the Rai Pithora era. Even the Muslim is not the Muslim who came with the forces of Shahabuddin Ghauri. A lot of water has flowed under the bridge since. However much the swords had to cross then, it is now all over. After that history has taken a new turn. In brief, there is a tiny and muted pause, together with a lot of fusion. Not consciously, but unconsciously, organically. Both the religions are where they are, but on the cultural plane the distance has reduced, and an intimacy has developed. But even on the religious plane the erstwhile ideas of identity no longer abound. The religious festivals of the Muslims have acquired an indigenous hue. In fact, the entire Hijri calendar has taken on local colour. Who these days says Rabi-ul-Awwal or Rabi-us-Saani? Probablyonly the maulvis and mullas. According to Dilli’s common people, Maah-e-Safar is now the month of Tera Tezi. Rabi-ul-Awwal has come to be known as the month of Bara-wafat. Rabi-us-Saani has become the month of Meeran Ji. Jamadi-ul-Awwal is the month of Madaar. Zulqada has become the month of Khaali. Shaaban is the now the month of Shabraat. So this is how colours have mixed in this environment. And different cultural forms have coalesced towards unity. 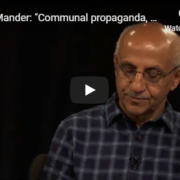 Seasonal festivals and fairs can no longer be easily identified as either Muslim or Hindu. What have remained are Eid and Baqreid and Holi , but even here one participates in the other’s celebrations. And even if there is no participation, religious sentiments of each other are accorded due respect nonetheless. So there will be no music outside mosques. And sacrifice on Baqreid is not done in a way that it would injure someone’s sentiment and become a cause for friction. If, on Holi, someone threw gulaal on a Muslim s/he would not flare up but rejoice. Intizar Husain was a prominent name in South Asian literature; he wrote several novels and collections of short stories in Urdu, including the widely acclaimed Naya Ghar, Aagey Samundar Hai, Basti, Aakhri Aadmi and Kachhwe. 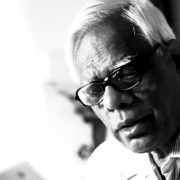 His nonfiction writings constitute a veritable archive of critical reflections on the history, contemporary culture and politics of the region. 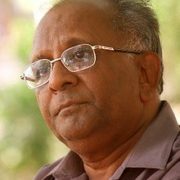 Intizar Husain died in 2016 in Lahore, Pakistan. 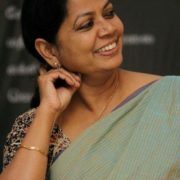 Ghazala Jamil teaches at the Centre for the Study of Law and Governance, Jawaharlal Nehru University, New Delhi. 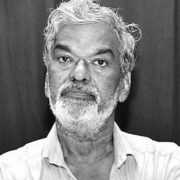 Faiz Ullah teaches at the School of Media and Cultural Studies, Tata Institute of Social Sciences, Mumbai.